Calling national emergencies to suddenly gain and retain power and impose their agenda on the masses without the need to go through the regular bureaucratic streams. That's how Senator-turned-Emperor Palpatine rose to power, slowly manipulating things behind the scenes to put himself in a place to capitalize on dealings he made with shadowy foreign entities. 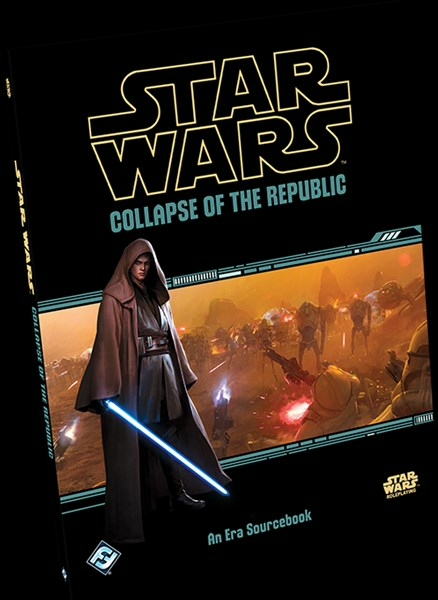 Soon, you'll be able to play in those tumultuous times with Collapse of the Republic, a new sourcebook coming for the Star Wars RPG.